From 12 p.m. to 4 p.m. Saturday and Sunday you can get a free, yes free photo of your pet with the Easter Bunny. TEMPLE, Texas — Easter isn’t just about kids and candy, it’s about pets too! 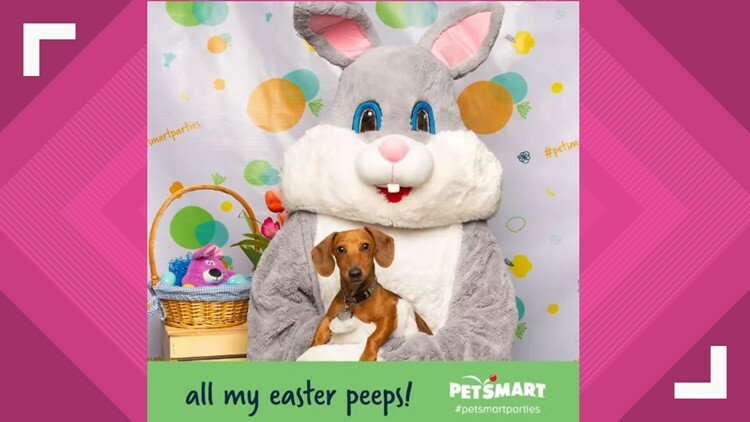 This weekend PetSmart is inviting pet parents and their furry, feather and scaled children to take pictures with the Easter Bunny. There are several locations in the Central Texas area.